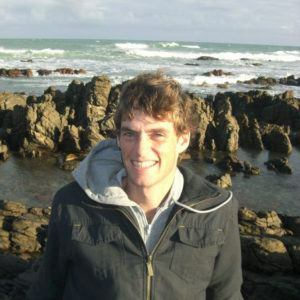 Based currently in Cape Town, Robin Moger is an experienced translator of contemporary Arabic prose and poetry. He has translated other novels from Arabic into English, including All the Battles by Maan Abu Talib (Hoopoe, 2017), Otared by Mohammad Rabie (Hoopoe, 2016), also entered for the 2017 Saif Ghobash Banipal Translation Prize, and Nael Eltoukhy’s Women of Karantina (AUC Press, 2014). Moger was one of the translators for Writing Revolution: The Voices from Tunis to Damascus (I.B. Tauris, 2013), which won the 2013 English PEN Award for outstanding writing in translation. Egyptian novelist and journalist Yasser Abdel Hafez, described by the Banipal judges as “an author of truly original talent,” graduated in law from Ain Shams University in Cairo, and started work as a journalist when he was eighteen. 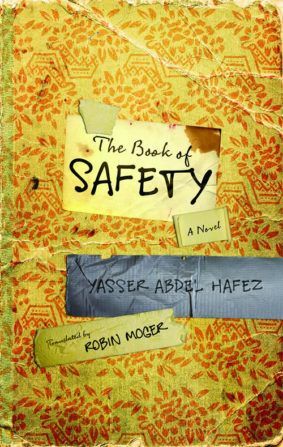 The Book of Safety, his second novel, is an intriguing and unexpected narrative of modern Cairo. In the plot Khaled transcribes testimonies at the Palace of Confessions, a shadowy state-run agency situated in a respectable Cairo suburb. There he encounters Mustafa Ismail, a university professor turned master thief, who breaks into the homes of the great and the good and then blackmails them into silence. 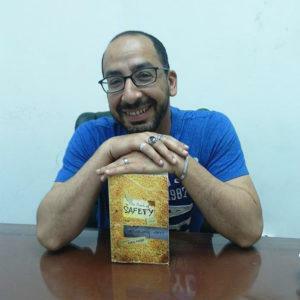 Mustafa has dedicated his existence to the perfection of his trade and authored The Book of Safety, the ultimate guide to successful thievery.